This collection includes: On Authorship, On Noise, On Education, On Reading, The Emptiness of Existence, On Women, Thinking for Oneself, Religion, Psychosocial Observations, Metaphysics of Love, Physiognomy, and On Suicide. According to Wikipedia: "Arthur Schopenhauer (February 22, 1788 September 21, 1860) was a German philosopher known for his atheistic pessimism and philosophical clarity. At age 25, he published his doctoral dissertation, On the Fourfold Root of the Principle of Sufficient Reason, which examined the fundamental question of whether reason alone can unlock answers about the world. Schopenhauer's most influential work, The World as Will and Representation, emphasized the role of man's basic motivation, which Schopenhauer called "will". Schopenhauer's analysis of "will" led him to the conclusion that emotional, physical, and sexual desires can never be fulfilled. Consequently, Schopenhauer favored a lifestyle of negating human desires, similar to the teachings of Buddhism. 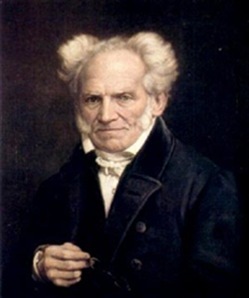 Schopenhauer's metaphysical analysis of "will", his views on human motivation and desire, and his aphoristic writing style influenced many well-known philosophers, including Friedrich Nietzsche, Richard Wagner, Ludwig Wittgenstein, and Sigmund Freud." Acquista Essays of Schopenhauer in Epub: dopo aver letto l’ebook Essays of Schopenhauer di Arthur Schopenhauer ti invitiamo a lasciarci una Recensione qui sotto: sarà utile agli utenti che non abbiano ancora letto questo libro e che vogliano avere delle opinioni altrui. L’opinione su di un libro è molto soggettiva e per questo leggere eventuali recensioni negative non ci dovrà frenare dall’acquisto, anzi dovrà spingerci ad acquistare il libro in fretta per poter dire la nostra ed eventualmente smentire quanto commentato da altri, contribuendo ad arricchire più possibile i commenti e dare sempre più spunti di confronto al pubblico online.